Los Angeles is universally recognized for its Hollywood presence, and for the fact it's home to many world-renown celebrities, all of whom are known mostly for their various talents and good looks. Lately, in the media, celebrities like Jamie Foxx, Mel Gibson, Brendan Fraser, Jude Law, and others have been rumored or have themselves claimed to have had some type of hair restoration or hair transplant work. We can’t disclose without prior consent whether or not they’ve had a hair transplant procedure, but we are aware a lot of film stars and musical artists have inquired about it. As such, in Southern California, hair loss treatment and hair transplant surgery always seem to be buzz-worthy topics. Hollywood is notorious for associating beauty with stature or status, which leads a good number of celebrities to feel obligated to live up to a certain criterion or at least maintain their big-screen looks well into middle to old age. The good news is that thanks to the latest advances in surgical technology, any Angeleno (or any person, for that matter), including celebrities, can achieve their desired look. Like the everyday American, celebrities do their research to try to find a top-notch hair transplant surgeon for successful hair restoration. 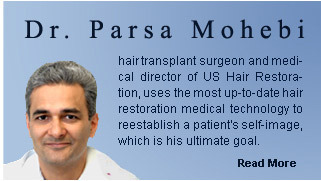 A lot of celebrities get the results they want because of the fine work done by professionals at places like Parsa Mohebi Hair Restoration.